One drummer. Four bands. Four cities. Two countries. Twenty-two tracks. Makaya McCraven in nothing if not ambitious. 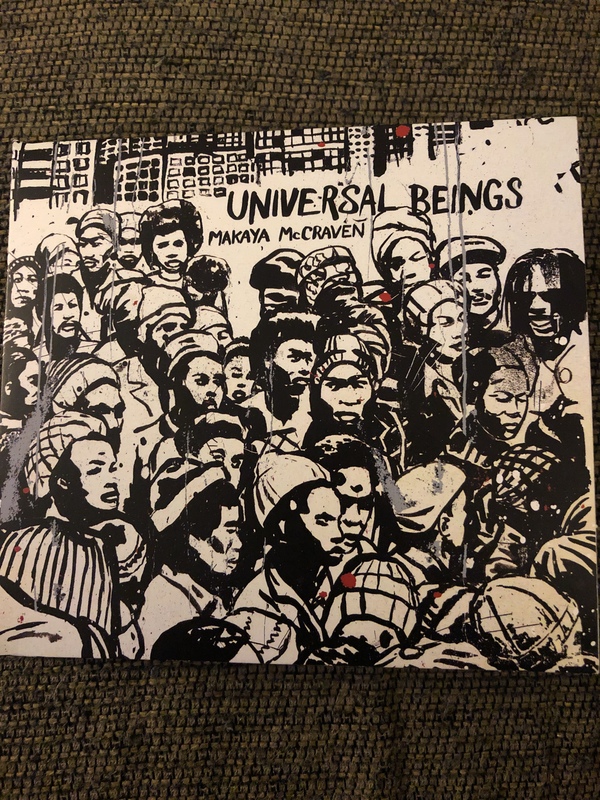 His latest album, Universal Beings, is appropriately named, as McCraven and his drums link up with musicians in New York, Chicago, Los Angeles, and London to create four remarkable sides of 21st century jazz. The album marvelously blurs the line between jazz and hip-hop, featuring beats that work fine in either context. Each band is also starkly different from one another, allowing for variations on a theme without falling into redundancy. When was the last time you heard a jazz band being led by a harp and a cello? Well, that is precisely what happens during the New York sessions. Chicago features a tenor sax/cello lead (with cellist Tomeka Reid being the only musician to play on more than one side other than McCraven), London offers tenor sax and Fender Rhodes piano, and Los Angeles features alto sax, violin, and guitar leads. The universal constant is McCraven, grooving along nicely behind each band. Each musician plays thoughtfully without becoming self-indulgent. Some of the tracks seem planned out, while others have more of an improvised feel. And more than a few of the tunes were recorded live. The tunes alternate between trippy, jazzy, groovy, and hyper-kinetic. Regardless of style, the songs stay completely under control. Well, maybe not “Atlantic Black,” which sounds like a band driving a car on two wheels, eliciting oohs and ahhhs from the audience as they do so. In other words, it sounds like a lot of fun. “Young Genius” probably comes the closest to sounding like old-school jazz, but it’s doubtful McCraven was aiming to sound like any one thing or the other. To be certain, that mission was accomplished. The music is as eclectic as it is familiar. Things seem to get a little more adventurous with each session, but that may be in ears of the listener. As a drummer, McCraven is tasteful and elegant, with a rock-solid sense of groove. His sound is that of a musician who has been immersed in multiple styles over the years, and he has the ability to apply just the right style to any given composition. The other musicians (among them Tortoise guitarist Jeff Parker) add just the right amount of spice to a four-sided musical gumbo. Universal Beings is a great indicator of where jazz is headed, and what it’s capable of once it arrives. Check out my book, I Can’t Be the Only One Hearing This: A Lifetime of Music Through Eclectic Ears. It’s available from Amazon, Barnes and Noble, and other fine book sellers. Interesting. I liked the harp pieces. Most of the rest is too close to hip hop for my taste, though.